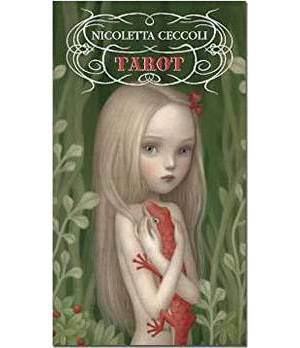 Celebrated illustrator Nicoletta Ceccoli draws in a style of provocative enchantment. Her tarot deck moves between harmony and madness, capturing a wholly unique element of eerie innocence. These cards provide insight into complex questions, where the dark mingles with the light and reveals the shades of gray that illuminate our most profound truths. This is the mini deck version of the Ceccoli Tarot Deck.